Let me just get this out of the way first–I can’t believe it’s already May! Where did the last 4 months of my life go? I feel like it was just Christmas and I was a newbie college grad applying to jobs. Sooooo much can change in just a few months! So I know lust is technically considered a vice, but I don’t mean lust in the traditional sense. I mean things I’ve been wanting for awhile–whether that be clothes (per usual), food or something else. Here’s my lusts for May! 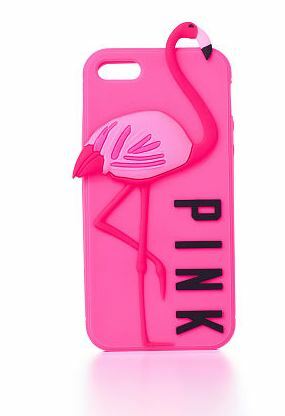 Flamingo iPhone case (VS Pink). 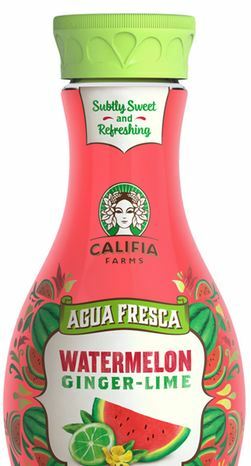 Watermelon ginger lime agua fresca (Califia Farms). 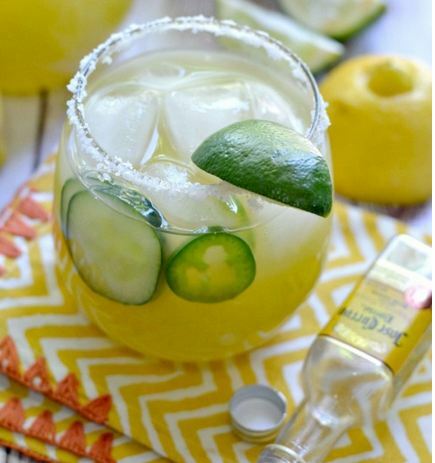 Cucumber jalapeno margarita (photo courtesy of Fork & Beans). Kaycia leather sandals (Joan & David — Rue La La). Obviously I’m obsessed with all things watermelon, flamingo and PINK! What are you “lusting” after? When this post is published, it’s officially my 7th day in a row of working. Yikes! As this is my first real job, I’ve only worked the traditional 5 day work week, and sometimes that’s exhausting enough. My schedule is being shifted around as the station plans to hire more people, so for now, I’m having to fill in the holes sometimes. Luckily, my ‘weekend’ starts tonight when I get off work at 10:30 and after that, I go back to a more regular 5 day work week. Phew! After a week of mostly working, workouts at my apartment’s fitness center and trying to get as much sleep as I can, I think a survey post is necessary! I found this one over on Kaila’s blog, and as a spring/summer lover, I just knew I had to fill it out. Smoothies! I don’t have a juicer so I can’t make them at home, and the only fresh juices I like are the ones made by Suja…and they’re expensive! Smoothies are easy for me to whip up in my own kitchen and I can include whatever I want in them. Definitely salads. I love giant salads year round, but they’re even more refreshing in the warmer months. Grilled veggies are good too, but I usually only get them when I go out to eat, since I don’t have a grill. Corn on the cob vs. sweet potato fries? No question–sweet potato fries! I know they don’t seem seasonally appropriate, but I actually hate corn and never got the appeal of corn on the cob. Sweet potato fries, on the other hand? Pure deliciousness, especially the ones from Native Foods! 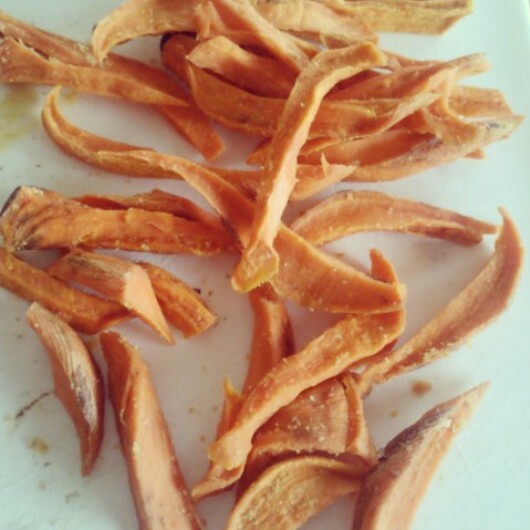 Raw sweet potato fries are also delish. Burgers or dogs (veggie varieties included)? I love a good veggie burger, especially homemade and fresh off the grill or stove. I love tossing them on some spinach and adding tons of toppings. Baseball is such a summer sport to me, and it’s one of the few sports I actually enjoy watching…at least in real life! I miss going to Rockies games with my family and soaking up the sunshine while enjoying a good game. I love walking, especially hiking, in the summer. Spending time out in nature, especially the mountains, is something I try to do as often as possible when it’s warm, and it’s something I’m going to miss about moving away from Colorado…no more mountain trails! 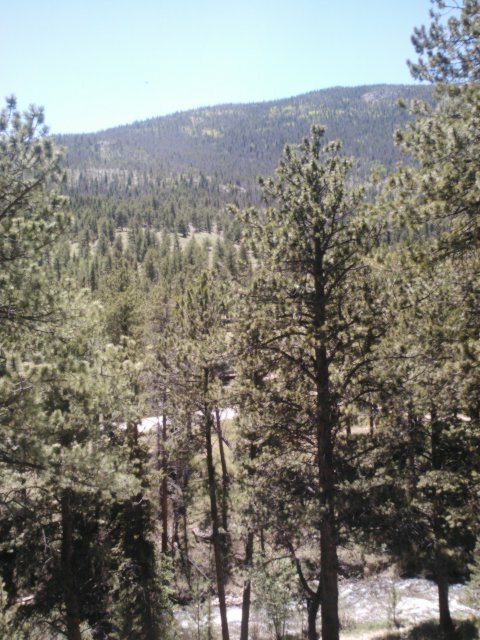 One of my favorite places in Colorado. As much as I love hiking trails, I gotta go with the beach. I’m pretty sure I’m meant to be a California girl (I will be someday!) and I love the relaxing sound of the waves hitting the shore, the soft sand and the cool water. Ice cream or fresh fruit? Fresh fruit! I like vegan ice cream (especially the So Delicious no sugar added kind), but fruit is something I enjoy multiple times per day, especially in the summer. I like soaking up the sun, but I prefer getting in the pool! Especially after laying out in the sun for a bit, and then cooling off with a few laps. I love tulips! Don’t know why, they just remind me of spring. 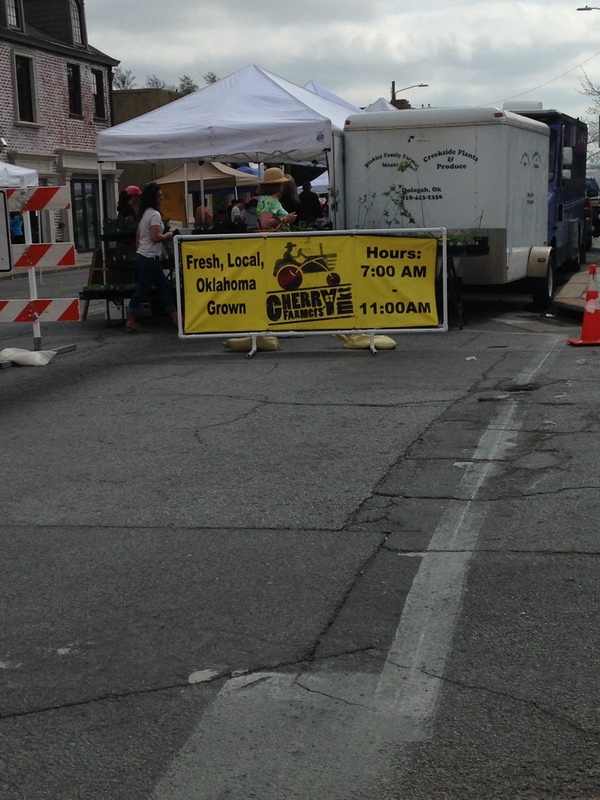 Farmers markets or garage sales? Definitely farmers markets! I went to my first real one the other weekend, and I fell in love. It’s nice being able to buy local produce and flowers for a bargain price. I’m definitely planning on hitting up a market every week this summer. Sandals allllllllll the way. I honestly have way too many pairs of sandals but I’ll never have enough. Target, American Eagle and Hollister are my sandal go-to stores. Flower garden or veggie garden? As much as I think flowers are pretty and spring-like, I think veggie gardens are more useful. You can plant the veggies you like, and save a bunch of money, not to mention get to enjoy the fruits (and veggies!) of your labor! Last summer, my dad and I planted a bunch of veggies/herbs and we had success with parsley, Japanese eggplant, hot peppers and cilantro. Ice cream or fruit? Sneakers or sandals? Beach or trails? This weekend was one of those weekends that I never wanted to end. Don’t get me wrong–it wasn’t the perfect weekend in every way. But perfection is boring! My weekend was perfectly imperfect, and I wouldn’t have it any other way. I finally got my hair re-done. It was time for a change and I’m so glad I made one. I got about 5-6 inches off the length (big for me since my hair’s been this long since 9th grade!) 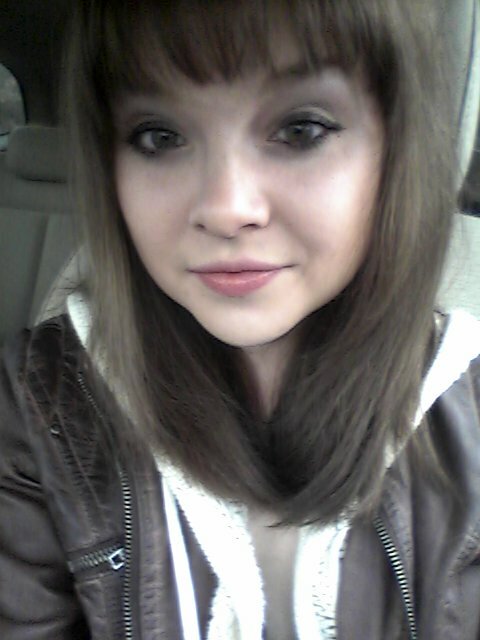 and got it colored darker. I’m in love with the results though–but of course, hair is never as amazing as it is right after getting it done. I was a little worried when I went out with my mom later on Friday on a few errands because it was raining & snowing and I didn’t want my new hair getting ruined. Fortunately, it stayed pretty dry and I was able to score a new bikini from Target thanks to my lovely mom. Trying on swimsuits is still an anxiety-provoking thing for me but I was able to get over my body hang-ups and find a cute suit that I love! View from my room on Friday afternoon. Looks more like December than March! I can’t wait to wear this…hopefully soon! 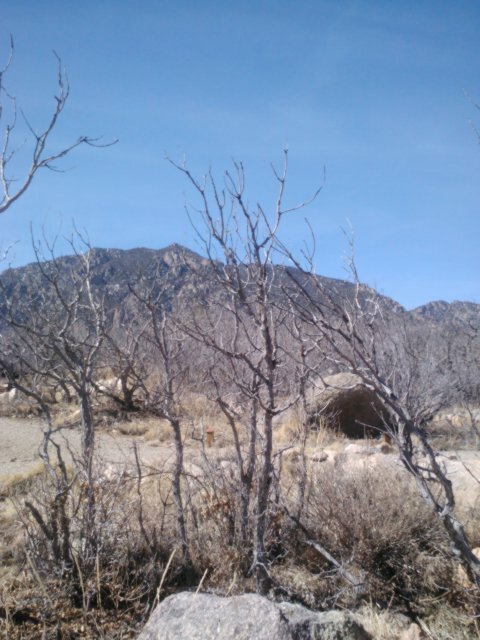 I went hiking with my parents. 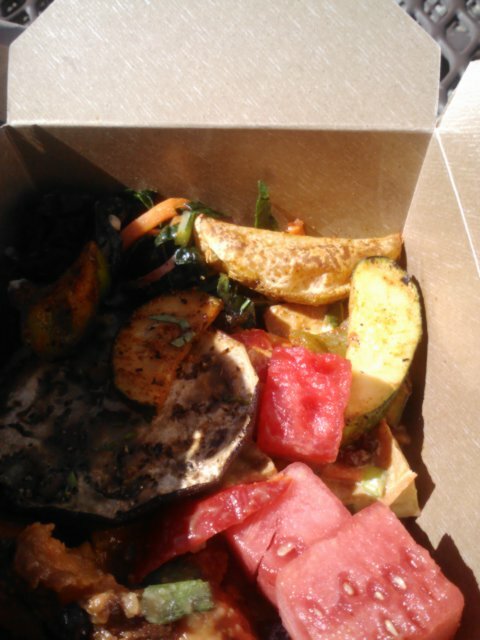 I was finally reunited with the Whole Foods salad bar for an almost-perfect picnic lunch. Isn’t this view just gorgeous? I’m so lucky to be able to call Colorado my home (for now)! 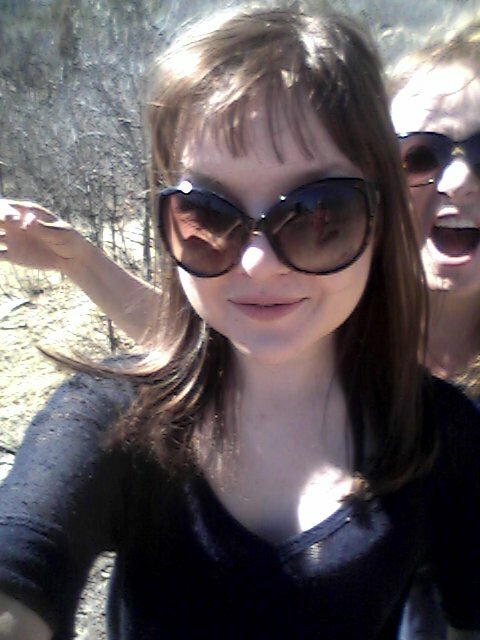 A photobombed selfie on the trail. I love my mom! I got my grocery shopping done for the week. I’m being serious when I say that grocery shopping is one of my highlights of the week. I love browsing the aisles for new products and being able to pick out my produce and other food for the week. I get a little upset, though, when I have to push back my grocery trip because of my mom or dad’s schedule. Mostly because I go through my groceries by the time the weekend rolls around, and being low on my favorite foods is a little annoying. But I’m learning to be patient, and just to appreciate the fact that right now, my parents are paying for my (slightly expensive) groceries. My dad and I didn’t get to the store until 5 pm on Sunday because of our hiking escapades earlier in the day, but I really enjoyed the time I spent with him at Sprouts and Whole Foods. We ran into my internship supervisor from last summer–he’s always been so nice and funny and supportive, so we talked a little about my possible upcoming job. My dad and I share a love for fruit, so we went a little crazy in the Sprouts produce area. At Whole Foods, I wasn’t able to buy everything I had on my list (no spinach, boo!) because things weren’t stocked or they were a bit too expensive but I’m just so grateful that my dad spent the time and money to take me to my favorite store. And now I’m all stocked up for the week and ready to try out some new recipes! 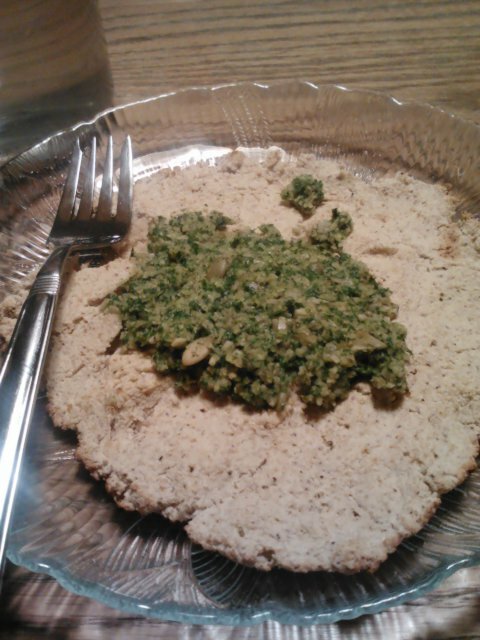 Homemade grain free pizza with homemade kale pesto made from the remnants of my last grocery haul. So yeah, my weekend wasn’t perfect. My nail polish chipped right after I painted them, I had some anxieties over my workouts, I ate too many Larabars (I’ve had 1 per day since Thursday even though I meant to save them…oops! ), I was disappointed by this week’s SNL, I didn’t drink enough water, I got a not-so-great voice mail from my doctor’s office and I struggled with some lingering cold symptoms. But you know what? My weekend was perfectly imperfect. I enjoyed plenty of family time, I ate some amazing pizza (of the homemade, grain free variety), I helped my sister with a baking project, I slept in and stayed up late and I just lived. Not every weekend or every day will be perfect, but it doesn’t have to be. Sometimes, the imperfect days are the best! What were some highlights of your weekend? Aside from a very brief tomboy phase in late elementary school, when I professed my hatred for anything even a little girly, my favorite color has always been pink. I have pink shoes and purses, pink office supplies, a pink hair dryer and I was thisclose to getting a pink Kia Soul when I was getting a car for college. You could say I’m a little obsessed with the color pink. I also have a decent amount of pink in my closet, but much of it is brighter pink, like more of a magenta shade. I’ve never been really into baby pink but when I got a sheer button-down in that shade from American Eagle for Valentine’s Day (from my mom, what a sweet Valentine!) I fell in love. Light pink is perfect for spring, and it pairs especially well with black, which is one of my favorite pink pairings. Look at my thigh gap haha but seriously excuse my weird pose. I always have problems trying to show my full outfit in this mirror. This outfit works for casual things, like running errands or hanging out but it can easily be dressed up by exchanging the black leggings for skinny black pants and strappy heels. I love the shirt because it’s sheer and see-through (I was wearing a matching pink cami underneath) so it’s great for warmer spring days but you also won’t freeze in it if you wear it to the office. And it’s the perfect fit, just a little loose without being sloppy. 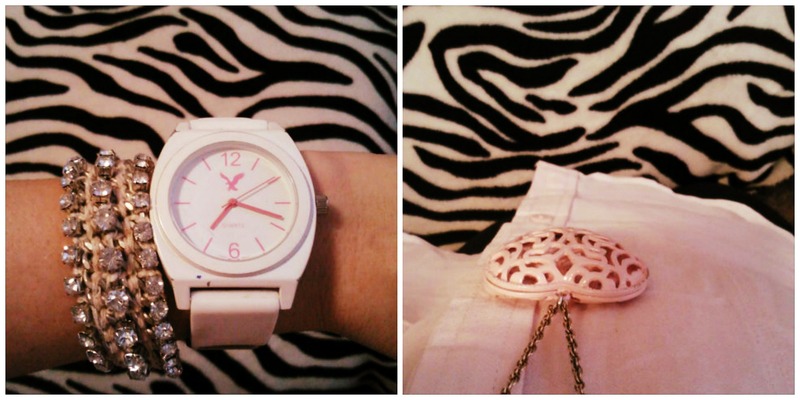 Left: jeweled friendship bracelet (American Eagle), white watch (American Eagle). 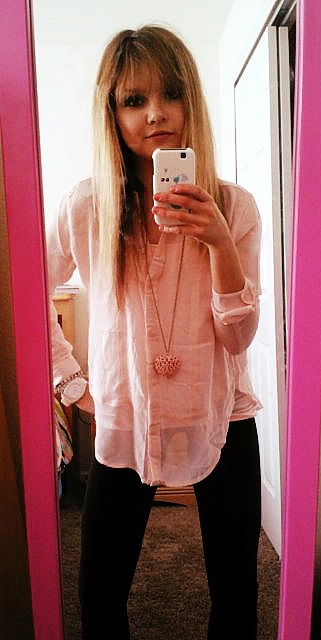 Right: pink heart pendant (Forever 21). Jewelry is a must-have for me. I went very girly with a jeweled woven bracelet, white-and-pink watch (which BTW doesn’t work but I still wear it anyway haha I keep forgetting to get the battery changed) and a pink heart pendant necklace. 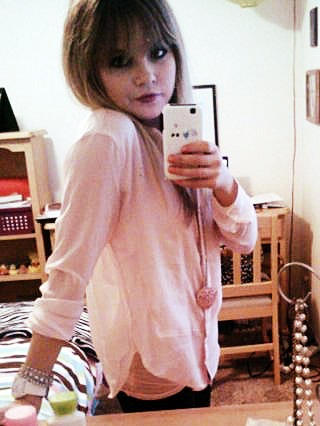 My coral pink nails went great with the whole ensemble, and I dressed it up a little more with black wedge booties. Pink sheer button-down (American Eagle), pink cami (Target), black zippered leggings (American Eagle), unpictured black wedge booties (Target). 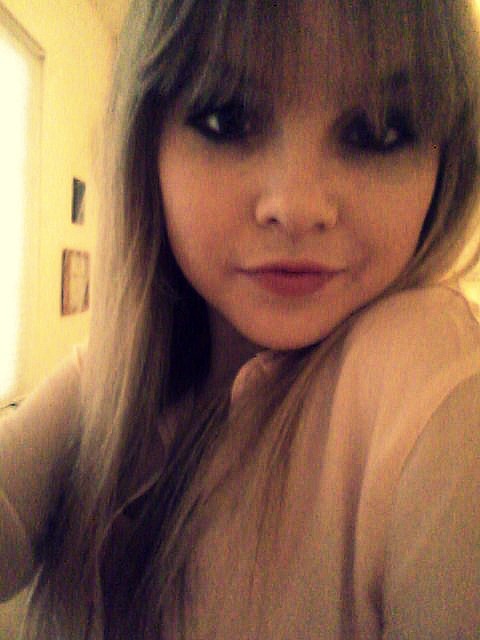 Some days just call for a LOT of selfies. What are your thoughts on the color pink? 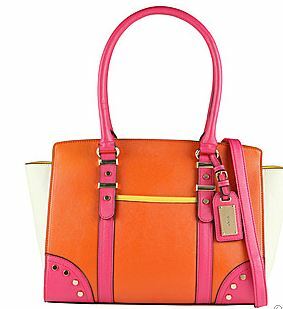 Girly, fun, perfect for pairing with edgier colors, etc.? Thanks for all the helpful words on my last post! It’s hard to deal with well-meaning but unhelpful advice from family and friends, but it’s a good reminder that we have to take those words with a grain of salt and do what’s best for our health. I wanted to bring back the Friday Five posts again and this week, I’m focusing on some fun food things for all my fellow foodies out there! 1. I found some new Larabar flavors…at Target! You all know my love for Target and Larabars…so put the two together and it’s a perfect match! I actually generally don’t buy my Larabars from Target since they don’t usually have a huge selection like Whole Foods and Sprouts do. 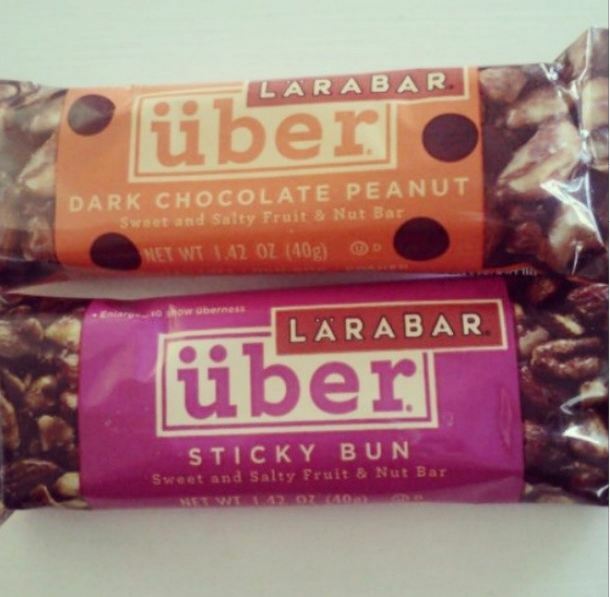 But since they have a lot of New Years resolution health stuff right now, they had some Uber bars on sale for $1 each, including 2 new-to-me flavors! You definitely can’t beat that–and they sound downright delicious too. 2. I’m obsessed with making grain-free flatbreads. First, it was this flatbread made into grain free stuffing. Then it was my staple socca. Now it’s this focaccia, which happens to be egg-free also! If you think grain free baking is hard, try it without eggs. It’s really fun to experiment with grain-free flours and when something turns out delicious, it’s even better. 3. I’m really craving the produce of spring and summer. Winter is hard enough as it is, with plenty of cold days, snow and the general feeling of blah-ness once the holidays are over. At least I didn’t get hit with the crazy cold weather here in Colorado (we’ve been in the 40s and 50s, which I can’t complain too much about) and we get over 300 days of sunshine each year, so my mood stays the same. The one thing I crave (other than warmer weather) is spring and summer produce. 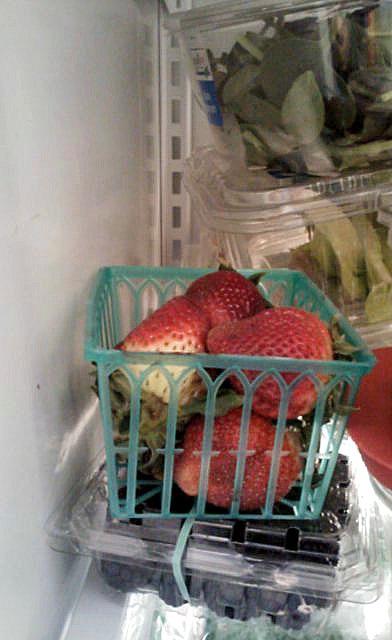 I miss all the berries, the watermelon, the peaches and cherries, the asparagus and the artichokes. Winter produce just isn’t cutting it–I’m already sick of squashes and citrus. At least I still have my beloved pomegranate…only 68 days until spring arrives! I miss having fresh berries for my breakfast! 4. 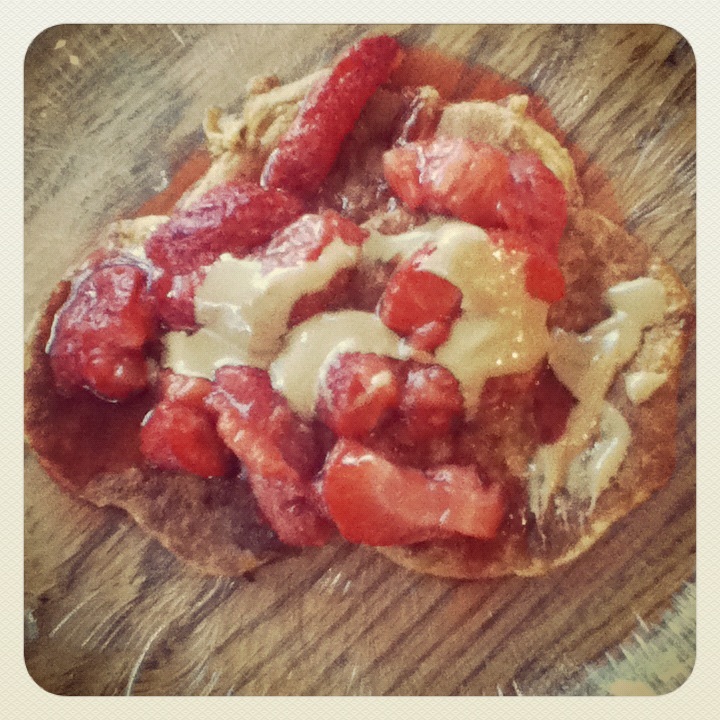 I haven’t had peanut flour in over 6 months…and I kinda want it again. 5. I’m debating going back on the raw foods train. I actually did this for quite a while last summer and then I stopped once school started back up and fall came and there was less good produce around. 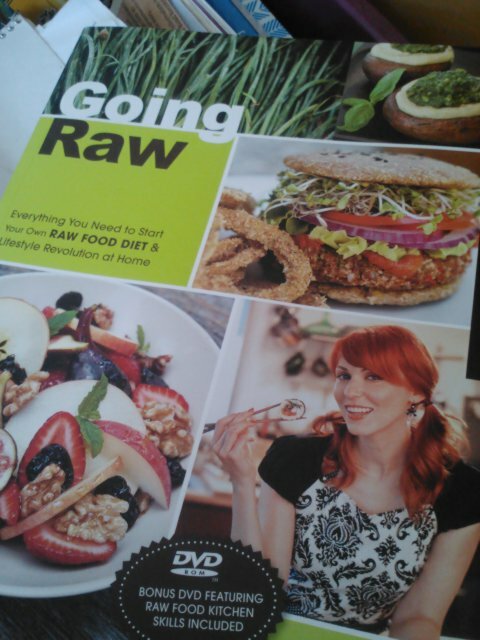 I’m not planning on going 100% raw anytime soon, but I’d like to reincorporate more raw foods into my diet. 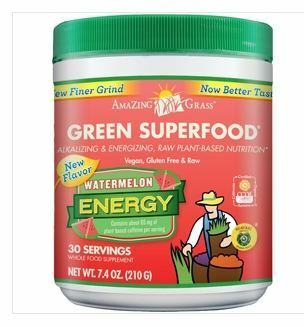 I’m a big fan of eating whole, minimally-processed foods and this just takes it an extra step. This might be more realistic once spring happens, because there will be more produce, and I love loading up my plate with plenty of fresh fruits and veggies, but in the meantime, I’m going to be buying more raw things, like nuts/seeds and making my own almond milk and stuff like that. I have a lot more time on my hands now that I’m just looking for a job, so I have tons of time to experiment in the kitchen! I’m going to be making more recipes from this book. Anyone else missing the warm weather produce? What’s a food you haven’t eaten in awhile that you want to start eating again more often? I’m hoping that it’s a lot more springlike where you are…because we just got dumped on with a spring snowstorm! And this is no dusting of snow…we got a foot or more in my neck of the woods over a few days! 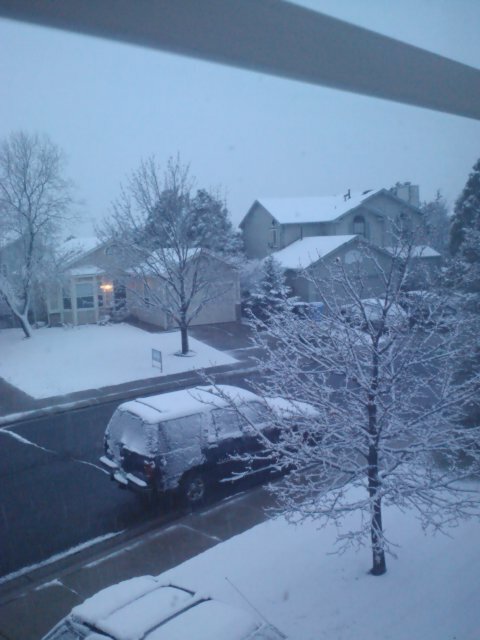 As much as I love Colorado, I dread it in March and April, because they happen to be our snowiest months. Last year, we got summer a few months early but apparently we were due for extra snow and cold this year because we have yet to experience much spring in these parts. Basically, every week since March it’s been a cycle of warm for a few days (usually on the weekend), then it gets windy and cooler, then it snows or maybe rains, and then it warms back up again. So frustrating, but it’s almost late April so I’m hoping we’re DONE with snow for the season! I’ve been trying to wear spring-y clothes as much as possible, and I got the opportunity to wear one of my favorite spring colors–mint–last Saturday when it was in the 60s. Before this year, I actually didn’t have much of this shade in my closet but it’s quickly becoming a staple in my outfits. 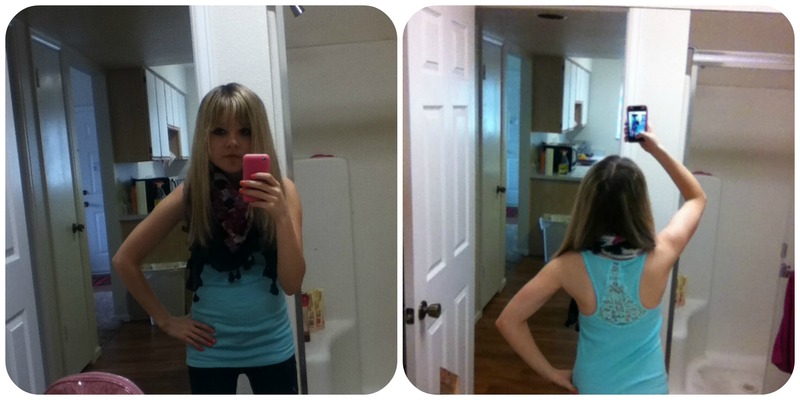 Mint lace-back tank (American Eagle). Dark wash jeggings (AE). 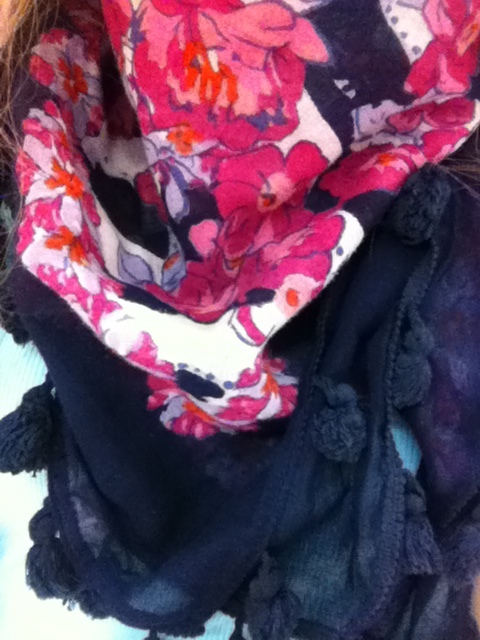 Navy floral scarf (AE). No, my whole closet isn’t from American Eagle, but I do love their basics and accessories! 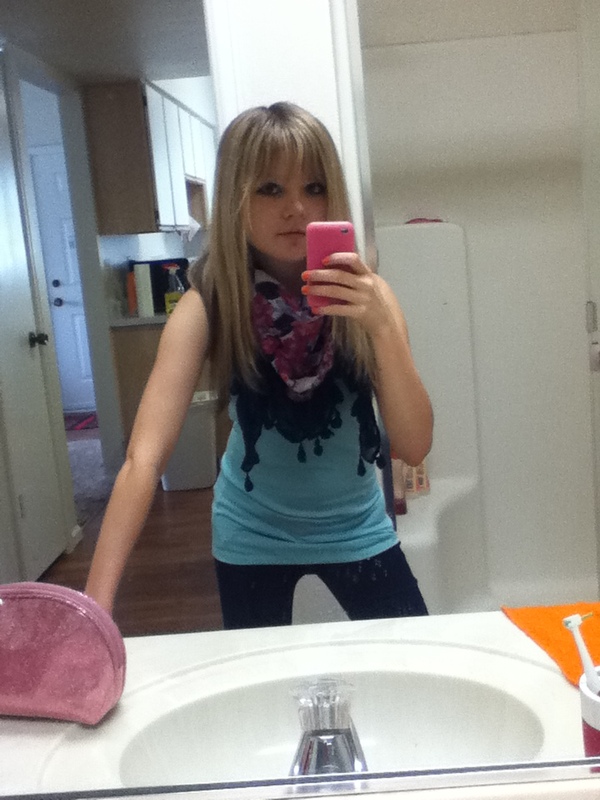 They have some of the best jeans (aside from Hollister) and they always have a huge selection of cute scarves. I don’t generally wear tanks alone (I originally got this one to wear under a dress I have with a weird back) but this one is cute not just for the color but for the back detailing. I really love the tanks with a full lace back but this one is a little easier to wear with most bras. I don’t own as many scarves as I’d like, but this one is probably my most used. I’ve worn it with neutrals and navy blue but I really love it with this tank because it has hints of the same mint green color. These were by far the best part of the outfit, though! These were part of my impulse Target buys last weekend. In my defense, they were kinda on clearance, and I’ve been lusting over them for awhile. 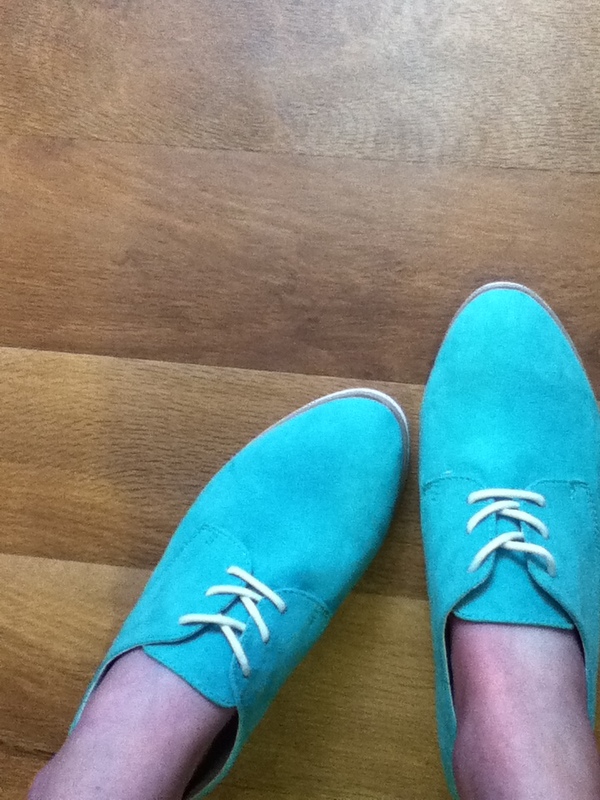 Anyways, these are the perfect shoes to add into my spring wardrobe and the color of them just makes me happy. What’s your favorite spring color? Are accessories a big part of your closet? Wow, I’ve been gone for awhile! Obviously, it’s that time of the year–midterms. Luckily I’ve just got one more left and then tomorrow afternoon starts my spring break! I won’t be doing anything too exciting (unless you consider going home for over a week to be exciting) but it’ll be great to see my family again…and possibly mooch off them for groceries? Haha it’s the little things! Anyways, I’ve just got a photo dump of a WIAW for you…so enjoy! 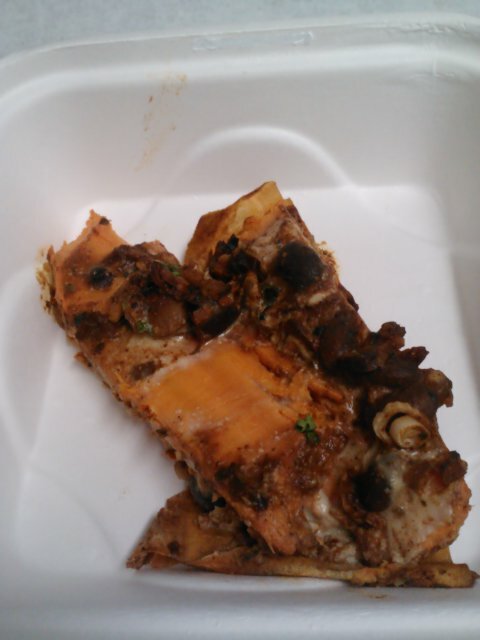 Leftover chocolate chili yam from Tasty Harmony. One of the best vegan restaurant meals ever. How can you go wrong with chocolate chili+sweet potato+cashew ‘cheese’+tempeh bacon? 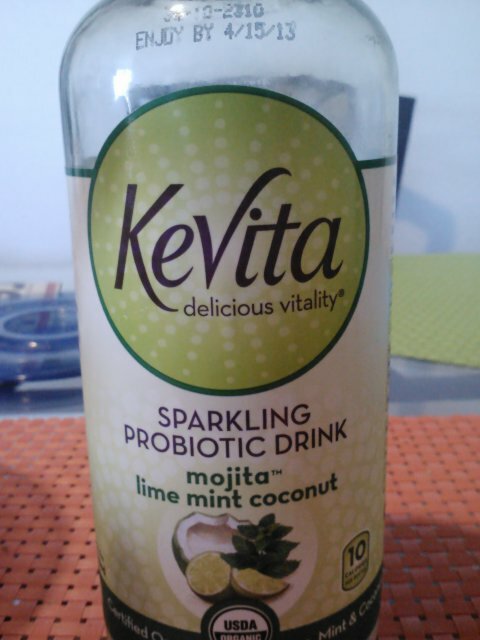 My new fave Kevita flavor. I just noticed this for the first time this weekend at Whole Foods, and I had to snag this flavor. Um, this is spot on like a sparkling mojito! 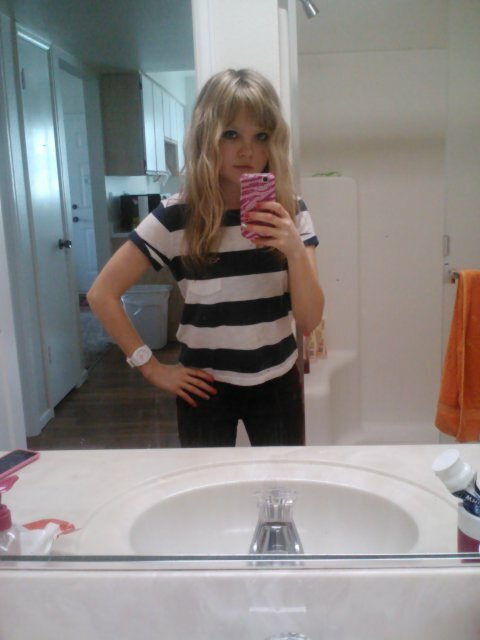 Outfit of the day (Monday): navy striped crop tee (Hollister), white watch (American Eagle), burgundy jeggings (Hollister). I had to take advantage of the nice weather and wear a tee without a sweater for the first time in months. Rumor has it it will be in the 70s on Friday…hell to the yes! It’s hard to tell, but that’s a pink car next to mine! 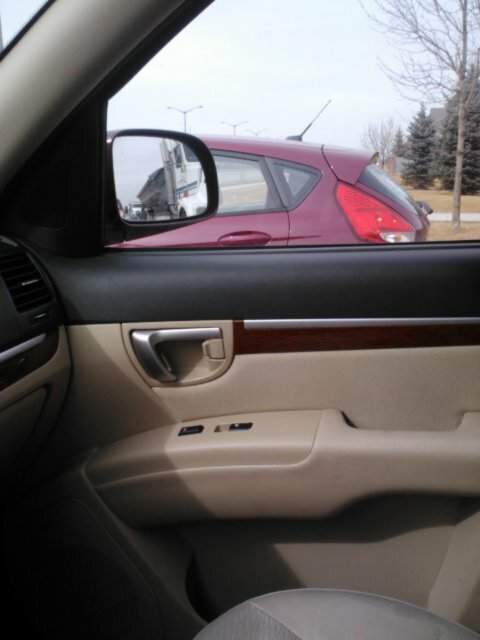 The car doesn’t look so pink in this picture, but it was most definitely a raspberry color. I want! 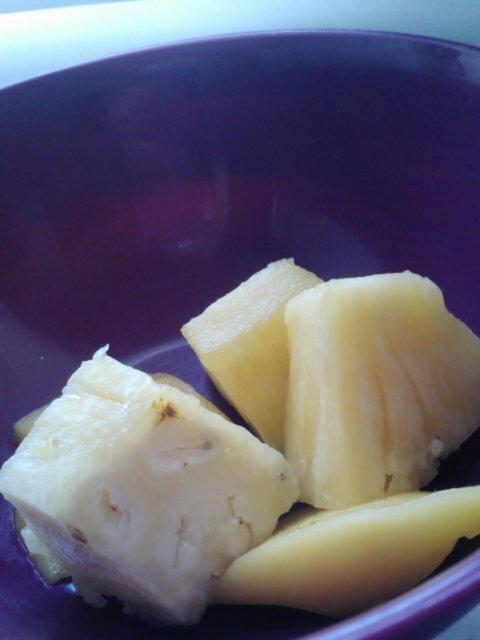 Eating fresh pineapple makes me want to take a beach trip real badly. Too bad I’m a college student with no extra money. Kelp noodle stirfry. 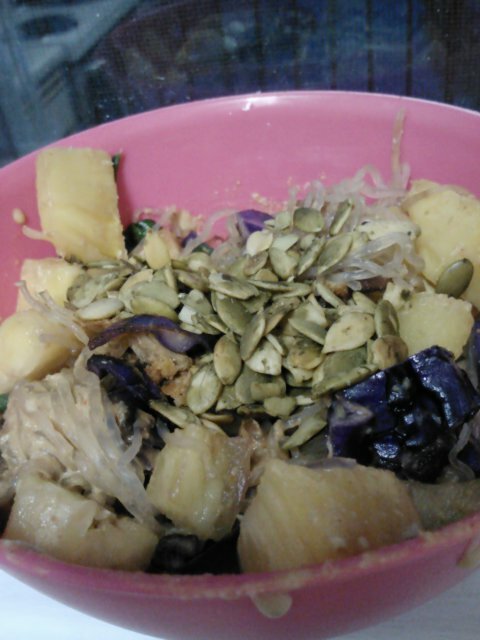 Kelp noodles, fresh pineapple, red cabbage, spinach, peanut flour curry sauce, raw pumpkin seeds. I can’t get enough of kelp noodle stirfrys. You can just make them so many different ways it’s impossible to get bored with them. 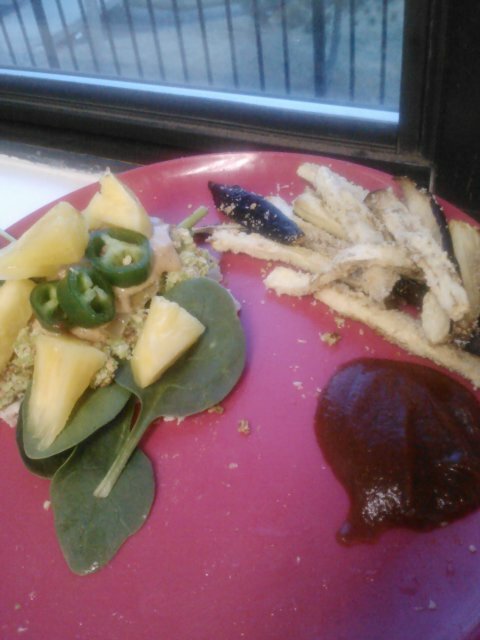 A new dinner: homemade edamame burger crumbles topped with spinach, jalapeno slices and pineapple, side of eggplant ‘fries’ and homemade BBQ sauce. This was actually a pretty successful dinner, though the veggie burger didn’t hold up too well. The eggplant fries were sooooo good though–coated in almond flour, sprinkled with sea salt and dipped in homemade BBQ sauce (basically unsweetened ketchup mixed with stevia and liquid smoke). 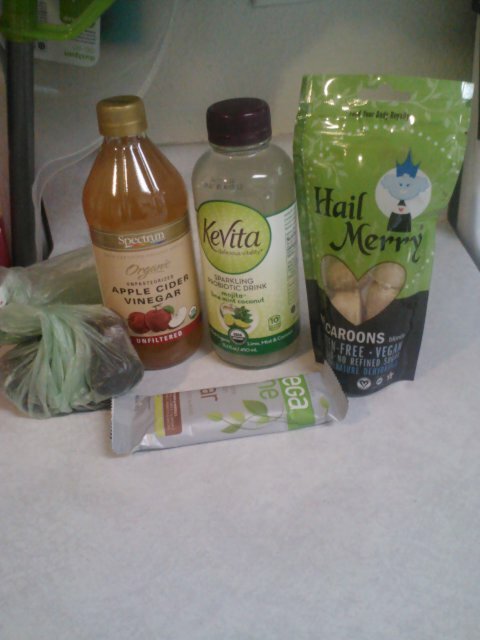 My more fun Whole Foods buys. There was no budgeting post this weekend, but I managed to stay around $50 for the week, buying just stuff from Whole Foods with a few splurges! I’m excited to try the new Vega One bar, 15 grams of clean vegan protein in a chocolate-covered bar! Have you ever seen an unusual colored car? What warm weather foods are you loving right now?